We welcome you to visit our showroom and on site granite warehouse where you can personally select your granite or quartz slab. 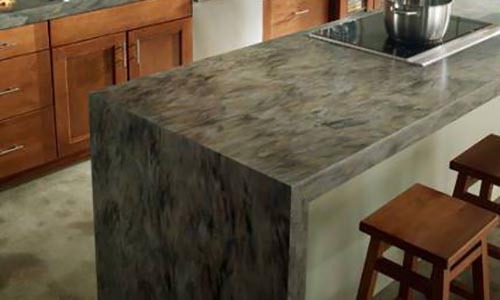 Or you can visit one of our many suppliers for an even larger selection of granite and quartz slabs. Just click on the links below to navigate to the vendor websites. You’ll also find our Shiloh Cabinet line featured throughout the showroom. Our design team can walk you through your selection process with ease and confidence. We look forward to seeing you! 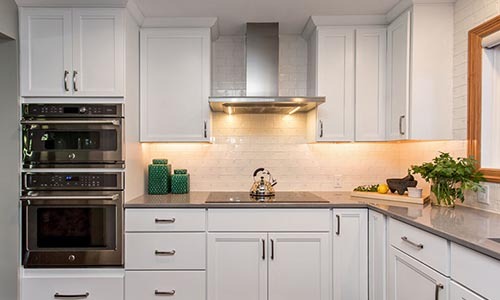 Choose from our on site selection of beautiful exotic stones, or visit one of our vendor locations to hand pick from a large variety of both granite and marble. 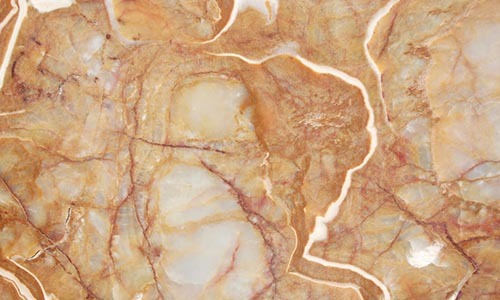 We offer a wide variety of man-made stones, most of which are produced in the USA. 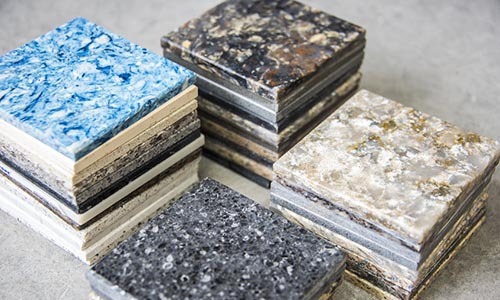 Solid surface is a non-porous, low-maintenance material that mimics the appearance of granite, marble, stone, and other naturally occurring materials. It can be cast into a variety of shapes, including sinks, shower pans and bathtubs, and can be joined nearly invisibly by our trained installers. This solid wood constructed cabinet line offers all of the options of a custom cabinet without the price tag! Providing long term durability, Shiloh cabinets come with multiple wood species options and painted or stained finishes. Soft close doors and drawers, and full extension drawer glides come standard. We also offer Aspect Cabinetry for our customers looking for a more affordable option.